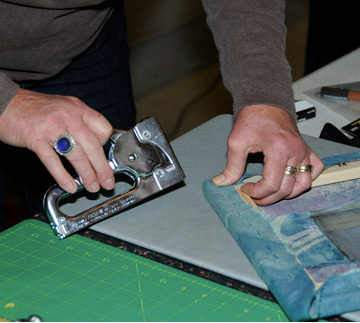 I have entered Quilt National nine times over the 20 years I have been making quilts. Eight of those times I did not get in. In 2013, the judges selected my piece, Reverberations: Yellowstone Waters for the show. I can’t tell you how excited I was. I am honored to be in the company of so many fine quilt artists, friends, and previous teachers and authors. In addition, winning the Hillary Morrow Fletcher Persistence Pays Award truly does show other artists that there is a reason to keep trying to be accepted in major quilt exhibitions. Reverberations: Yellowstone Waters is composed of slightly manipulated photos I took of geyser pools in Yellowstone National Park. 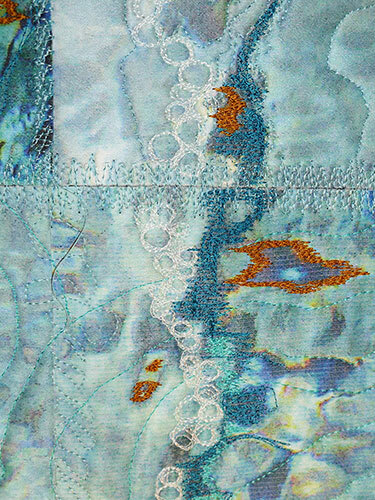 This quilt is part of my water series–images of various kinds of water, reflections in water, still water, flowing water, water marks. While it looks swimming pool cool the geyser pool is actually very hot. I like that visual/psychological duality. We usually think of that shade of turquoise as being cool and refreshing, yet I can still feel/remember the heat intensity of that steamy geyser walk. It shows there are no hard rules about the psychological meaning of specific colors. I print my images on charmeuse silk. It feels good to work with and it takes the ink colors strongly and reflects them back to the viewer in an intense way. After transferring the images to fabric in this piece, I embroidered and emphasized water rings, floating objects and bubbles with stitching. 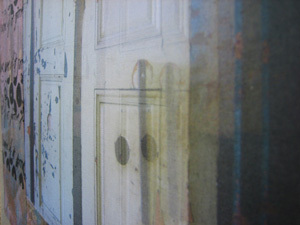 Repetition is always a part of my art work, and repeating blocks of the same image is very much in the quilt tradition. My enthusiasm for combining digital art and photography with cloth and stitching has not abated over the 12 years that I have been exploring the possibilities. I have learned so much since my first attempts to put my nature photographs on cloth in 2001. In 2008 I wrote a book, Artistic Photo Quilts, available in print or ebook from Amazon.com, since then my work has become more abstract. I like close up views of the natural and the man made world. Focusing in on the details captures the essence of the experience and gives me a feeling of discovering and exploring aspects we often don’t take the time to see. The computer/printer combination has proved to be a fabulous tool for fiber artists. In Quilt National 2013 there are at least 23 artists using digital tools in some way, several of them prize winners and with purchase options. For a tool that wasn’t widely available 25 years ago we have come a long way. We all use these tools in different ways. I was overwhelmed to see these gorgeous and thought provoking layered textiles in person in Athens. Currently I am working on more constructed work which involves layering with Photoshop as well as actual physical layering of the cloth to achieve a less photographic look and a more “imagined” result. 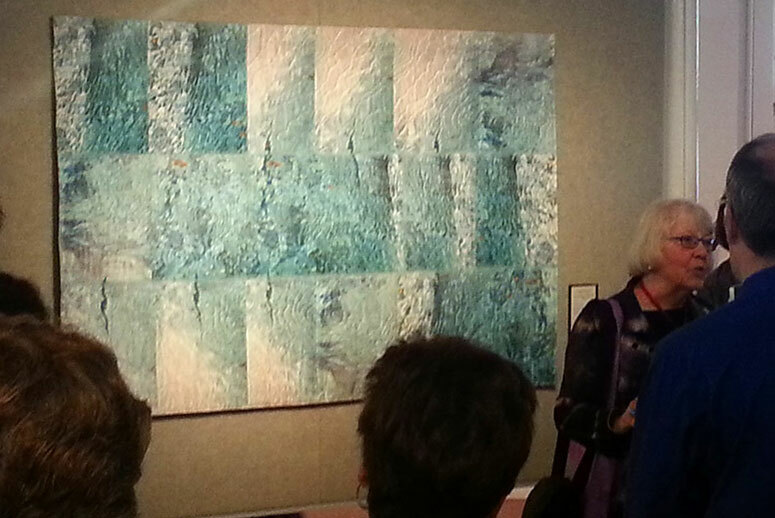 My quilt entitled Messages in the Stones, has recently been shown at SAQA’s Text messages exhibit in Houston. Although Charlotte has a background teaching academic psychology, she has worked with art and cloth all her life as a dyer, tapestry weaver, clothing designer, knitter, and quilter. 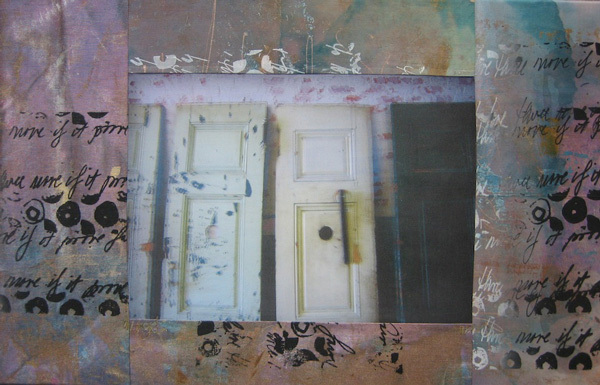 After many years working principally as a weaver she fell in love with digital art possibilities and presently concentrates on creating digital imagery printed on fabric and assembled into quilt art. When not working at her computer or in her sunny quilting studio, she can be found reading, knitting, listening to opera, hiking in the mountains with her camera, or trying to tame her messy, leafy garden. 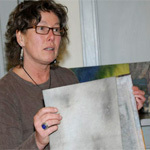 Her experience as an artist-in-residence in Rocky Mountain National Park remains a strong influence. She was born in Chicago and raised in the Midwest. 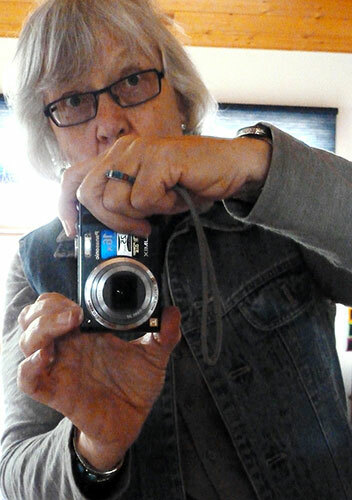 She has lived with her husband, Ken, in Boulder, Colorado for more than thirty-five years.